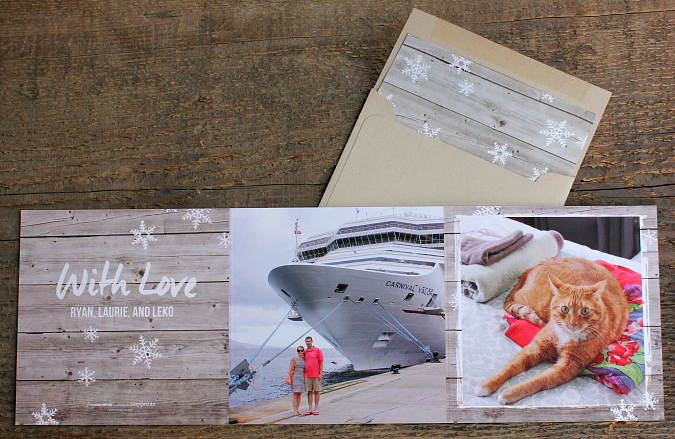 we absolutely love sending and receiving holiday cards each year. especially photo cards! 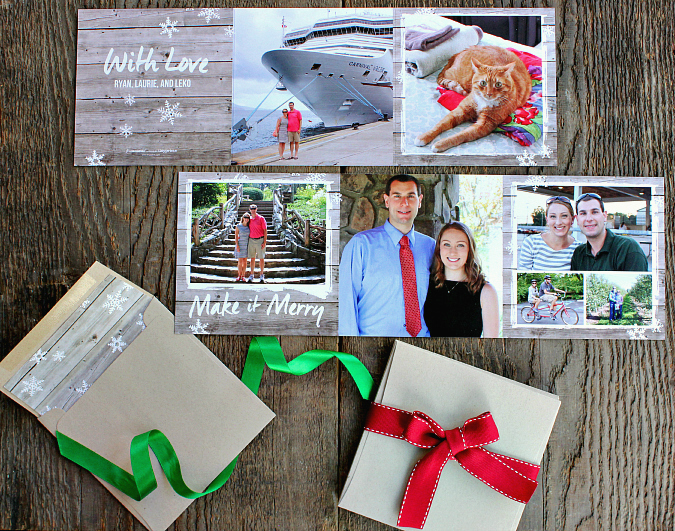 this year we were excited to be able to team up with tiny prints for our christmas cards. we made so many good memories this past year, and it was too hard to pick just one photo to use for our cards. so, we wanted a card where we could display multiple pictures. after looking through all of the options, we picked this tri-fold card along with matching envelopes. it was perfect since it had a ton of space to display multiple photos on both the front and back! it was so easy to customize our cards. it only took a few minutes from start to finish. all we had to do was add our names and our favorite photos. 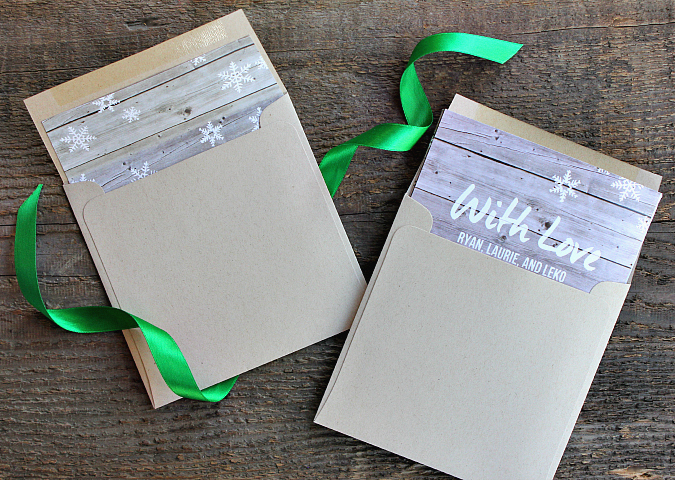 if you're short of time, tiny prints even will address, stamp, and mail out your cards for you! talk about simple. you can do it all right from your computer, without ever having to leave your house or having to wait in line at the post office! 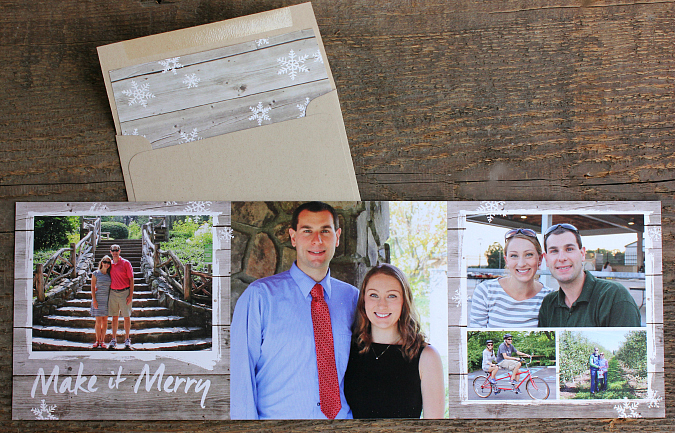 we absolutely love the way our cards turned out this year, and we can't wait to send them to our family and friends. i can hardly believe that christmas is right around the corner! I really like the folded idea with pictures on both sides. It is almost like a mini-picture book. Can't wait to receive ours. Great job to the designers.